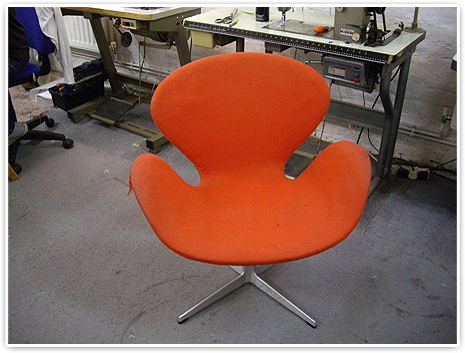 Trained at London Guildhall University (formerly London College of Furniture), Anne-Marie Bruce established Bruce Upholstery in 1990 to provide a comprehensive upholstery and soft furnishings service. Initially offering only a domestic service to private clients, we are increasingly involved in upholstering furniture for use in corporate reception areas, caf�s, bars, shops and to the trade. However, we pride ourselves on offering the same quality of service to all our clients whether their requirements be for one armchair or whole suites of reception seating. 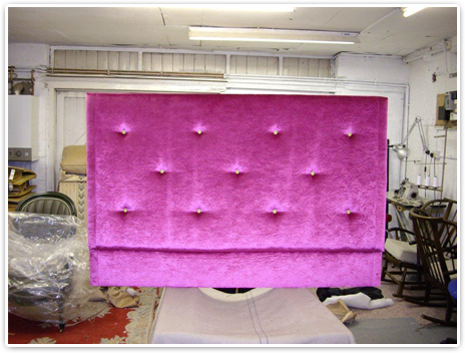 We undertake both traditional and modern upholstery, employing techniques and materials ranging from stuffed and stitched horse hair to modern foam construction. In addition, we will make loose covers, cushions, curtains and blinds. After finishing military service with the Royal Marines from 1989- 1995, Roger Lloyd went on to study Furniture Crafts and Advanced Finishing techniques at the London Guildhall University (Sir John Cass Faculty of Art and Design) He established Furniture Rescue in 1995. 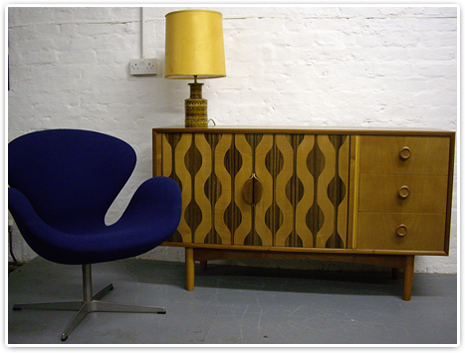 Furniture Rescue specialises in restoration and finishing, and employs both traditional hand polishing and modern day spray application finishing techniques. 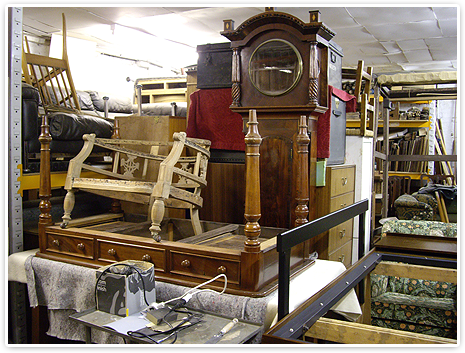 Every item of furniture is treated individually, and the most appropriate techniques are selected for the piece with reference to history, basic construction, materials and present day condition. Even the most forlorn pieces of furniture, heavily disguised with paint of dirt have the potential to be returned to their former glory. All manner of blemishes including dents scratches, gauges and white ring marks can be made to virtually disappear with a combination of finishing materials and techniques available. Any missing handles and castors can be reinstated. Furniture Rescue is equipped with a 3 meter spray booth to apply modern finishes. Furniture Rescue amalgamated with Bruce Upholstery to form Bruce Upholstery and Furniture Rescue Ltd in 2008 to cope with the ever increasing demand of restoring and upholstering family heirlooms and original classic furniture of British, American, Danish and International designers on behalf of private clients, commercial clients, designers, architects and cabinet makers through out England and Europe.